gives the holonomic function , specified by the linear differential equation lde[h,x]. represents a pure holonomic function . 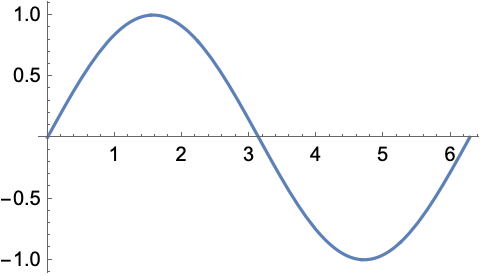 Mathematical function, suitable for both symbolic and numerical manipulation; also known as holonomic function and D-finite function. The holonomic function defined by a DifferentialRoot function satisfies a holonomic differential equation with polynomial coefficients and initial values . DifferentialRoot can be used like any other mathematical function. FunctionExpand will attempt to convert DifferentialRoot functions in terms of special functions. The functions representable by DifferentialRoot include a large number of special functions. DifferentialRootReduce can convert most special functions to DifferentialRoot functions. DifferentialRoot is automatically generated by functions such as Integrate, DSolve, and GeneratingFunction. Functions such as Integrate, D, SeriesCoefficient, and DSolve work with DifferentialRoot inputs. DifferentialRoot can be evaluated to arbitrary numerical precision. DifferentialRoot automatically threads over lists. DifferentialRoot[lde,pred] represents a solution restricted to avoid cuts in the complex plane defined by pred[z], where pred[z] can contain equations and inequalities.